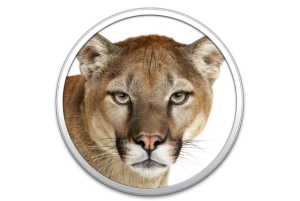 OS X Mavericks may be coming later this fall, but in the meantime, there are still bugs to fix in Mountain Lion. As such, it’s no surprise to see Apple releasing 10.8.5, an update that improves stability and security for Mountain Lion users. Thursday's update, which is available via Software Update, fixes issues with Mail displaying messages, AFP file transfer performance over 802.11ac Wi-Fi, smart cards unlocking preference panes, and automatically-starting screen savers. In addition, Apple says the patch improves Xsan reliability as well as reliability when transferring large files over ethernet. There are also performance improvements for authenticating an Open Directory server. You can view the full list on Apple’s website, as well as the security notes. If you don’t have a MacBook Air (Mid 2013), this update also includes the improvements made in that computer’s Software Update 1.0. Those include the fixing of an issue that caused intermittent drops in Wi-Fi access, screen flickering in Photoshop, and fluctuating audio during video playback. At the same time, Apple also released security updates for Snow Leopard, Snow Leopard Server, Lion, and Lion Server; as well as Safari 5.1.10 for Snow Leopard users (and threw in a Digital Camera Raw Compatibility Update 4.09 for good measure). You can see all of Thursday’s updates on Apple’s Downloads page.